A group of international media journalists mostly India based and Ambassadors & Defence Attachés of various countries in Pakistan visited impact site of 26 February Indian air violation near Jabba, Balakot. Saw the ground realities anti to Indian claims for themselves. US delegation led by General Kenneth F. Mc Kenzie Jr, Incoming Commander US CENTCOM, called on Chief of Army Staff (COAS) General Qamar Javed Bajwa today. 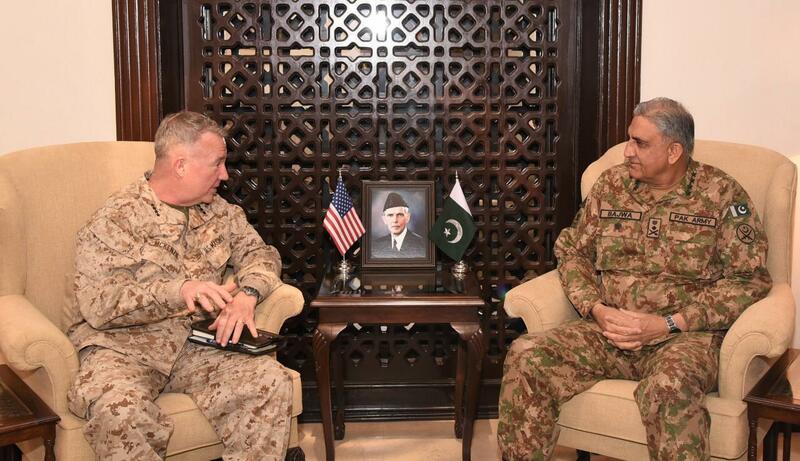 US delegation led by General Kenneth F. Mc Kenzie Jr, Incoming Commander US CENTCOM, called on Chief of Army Staff (COAS) General Qamar Javed Bajwa today. Geo-strategic environment and regional security including Afghanistan and Pakistan- India stand off were discussed.